When three friends from Zurich went travelling together they were inspired by their adventures to try and make our daily lifes more colourful. What better way to create a more colourful daily existence than through the humble sock! We wear them everyday and if we can brighten up our lives this easily - why not? Dilly Socks are proudly designed in Switzerland and manufactured by a family business in Portugal. Each sock has it's own story. 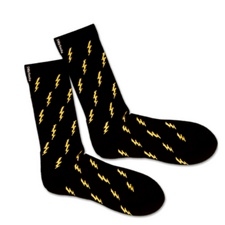 Shop the collection now at BEAT and raise your sock game! This country needs more action! And more colour. 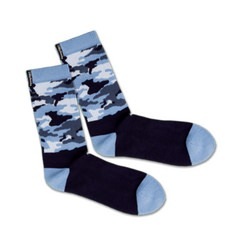 These socks kill two birds with one stone. Battery dead? 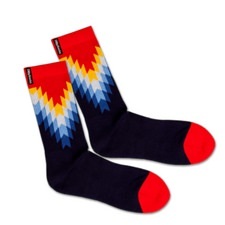 These socks can help, at least visually, to add a little energy. 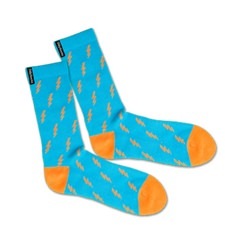 Perform like lightning: these socks adapt to your feet, and the compression arch on the instep prevents blisters. They're pretty striking, too! "I'll count to 10": these socks stand for one of our favourite childhood games. The pattern? Hide and Seek, of course!